Arizona Events is a full service, Inflatable Rental Company! Providing everything you need for your next Party or Event! We have it all! Inflatable Party Rentals and Realistic Dinosaurs. Planning a Corporate Event ? Check us out Arizona Corporate Events. 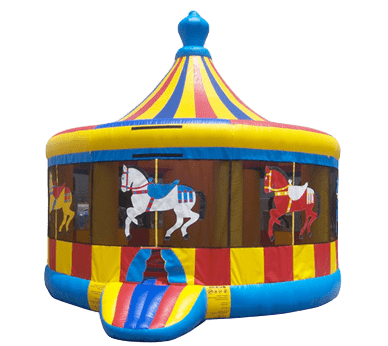 Arizona Events has a great selection of awesome Bounce House’s! Proudly serving the Phoenix Arizona and surrounding areas! Bouncy Houses, Jumpy Castles are great for Party’s and Events! We also offer Party Packages with Concessions, Cotton Candy, Snow Cone, Popcorn Machines, Tables & Chairs etc.  ​Call Arizona Events for more Info! Looking for something for a Fun Tropical party? 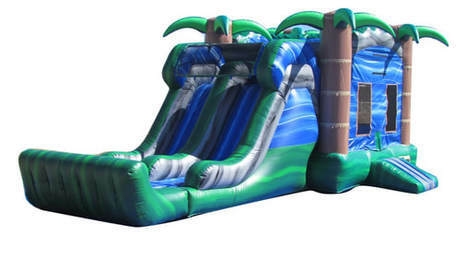 The Tropical Blue Crush Combo is a great choice for your birthday party, company picnic, family event, school carnival, church party, corporate event and fundraisers. Can be rented wet or dry, see wet rates! Contact us today to reserve. Looking for something fun during the HOT summer months? We have a great selection of Water Slide, Inflatable Slip n Slides, Wet Combos, and other fun water items like our dunk tanks! 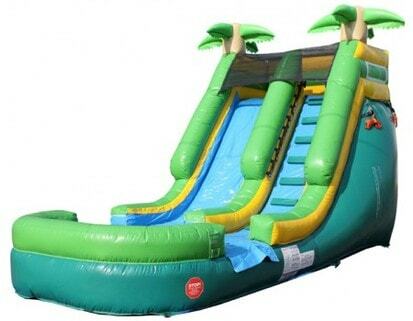 We also have a new 25ft Sky Drop Water Slide / Slip N Slide that’s great for Corporate Events, School Carnivals, Birthdays, Fundraisers and more! Browse through our selections below for more information and to make a reservation. Call Arizona Events for more info! Our Dunk Tanks are great for dunking your boss, teacher or just having a Birthday Parties, Company Picnics, Fundraiser, Corporate Event, School Carnivals Etc. Rent a Dunk Tank! Just add water and start dunking! Customer is responsible for providing water to fill dunk tank. Birthday parties, Corporate events, or scare your friends. Rent a Realistic Dinosaur today. 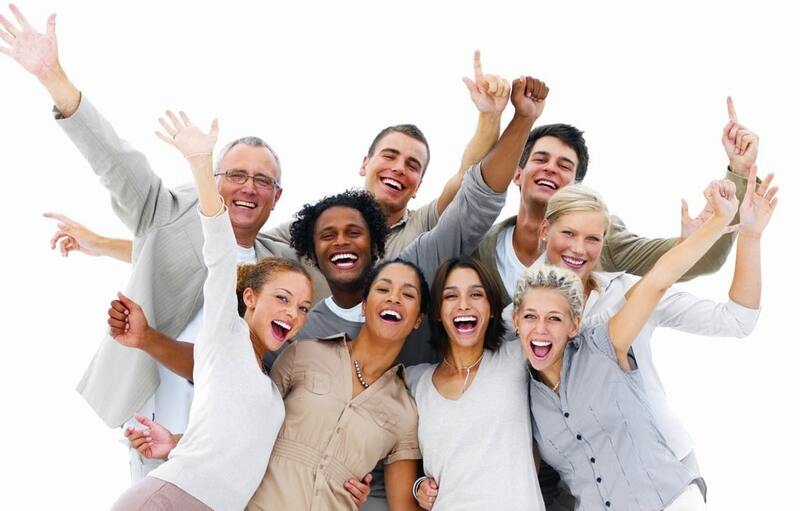 ​We offer package deals to complete your party or event needs. Rent a Rock Wall for your next Special Event! ROCK WALLS are great for parties of all types; school events, carnivals, corporate events, fundraisers, church events and personal parties. 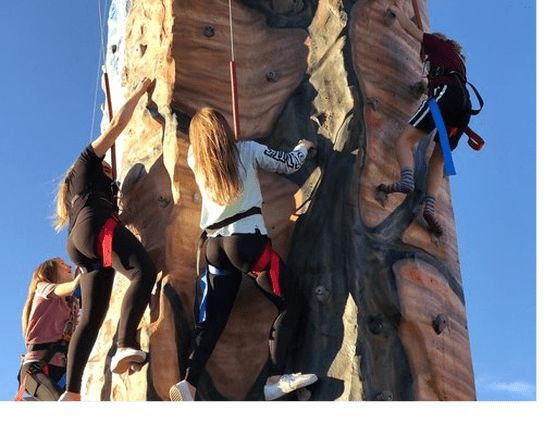 Mobile Rock Climbing Walls are safe, fun and easy to operate! They are great for kids and adults of all ages! Bumper Bubble Balls is where teams of people get together to play football or soccer wearing giant bubbles (sometimes referred to as Body Zorbs or balls), allowing them to bump, roll and flip over while trying to score a goal. Bumper Balls can be used for children as well as adults. Great Entertainment, Sporting Events or Celebration Days; Schools, Festivals, Carnivals, Churches, Youth Groups, Birthdays Parities, Corporate Events, Family Party’s, Outdoor Event, Holiday Parties, Fundraisers advertising and other activities etc. You will need access to power so we can blow them up on site!! We don't even care if you don't play bubble soccer and just want to knock each other over and have fun. No matter what kind of event you are having, renting a Mechanical Bull will be the hit of the party! 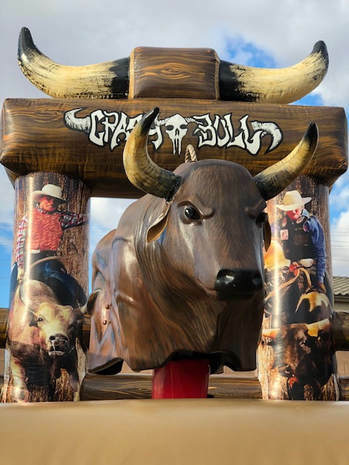 Our Mechanical Bull rentals are great for Corporate Event, GraduationParties, Festivals, School Carnivals, Company Picnics, Fundraisers,Weddings, Western Theme Parties or any other event! Our mechanical bull is safe and fun for all riders! Whether the rider is 10 years old or 50, we can adjust the mechanical bull speed to meet the rider. Or design your own package! Our Customers What they say.. The company that I work for put on a team building event and used Arizona events to host it. Their staff was very friendly and patient in the midst of all the chaos. The Boot Camp obstacle course was definitely the hit of the party, but I personally loved the dunk tank so much I booked it myself for a Super Bowl party. Rudy Z. From placing our order with Vickie, The prompt on time delivery, and the pick up crew, I have to say we were very pleasantly pleased. We rented the wrecking ball for my son's 15th birthday and man was it a blast, even the adults loved it. We will definitely use Arizona events again, and highly recommend them to anyone looking to throw party. Ron and Laura W.